Public bus services on Lefkada (Lefkas) can be quite good or quite bad depending on where you are trying to get to, day of the week, and the time of day. KTEL (the Greek national bus company) operates all the local bus services on Lefkada island. The public bus service down the East Coast of Lefkas island, between Lefkas Town and Nidri, is fairly frequent during the day time. It can be quite crowded at times, particularly on a cloudy day when everyone decides to go shopping. Getting to the West Coast and inland villages by bus can be more difficult as often there is only one bus per day and you take the risk of getting stranded there. Never mind – a good way of meeting the real Greeks! Very few buses run during the ‘Siesta’ (between approx. 14.00 and 18.00), and services are limited on Sundays and Bank Holidays. The New Bus Station in Lefkada Town is located to the South of the Marina, approximately 1 kilometre from the town centre. The bus fare from Athens to Lefkas is about 40 Euros. There are usually four buses per day each way between Lefkada and Athens, and the journey time is about six hours. The buses between Lefkada and Athens are usually at the same times, summer and winter. In Athens it is the Kiffisus Bus Station where you catch the bus to Lefkas. A taxi between the Kiffisus Bus Station and Athens Airport costs about 40 Euros and takes about 40 minutes (depending on traffic). Taxi fares may be higher between midnight and 06.00am. There is a public bus service between Athens airport and Kiffisus bus station. The route number is 93. It departs from outside arrivals at the airport, every 40 – 90 minutes depending on the time of day or night. The journey takes about 1 hour and costs about 3 Euros. Unfortunately this is a big problem. The Greek bus company is badly managed and its reservation system is primitive. It is not possible to book tickets online and KTEL expects its customers to buy their bus tickets, in person, from a bus station. This is a real problem if you are arriving into Athens airport and want to take the next bus from the bus station to Lefkada. In July and August the buses may already be full. If possible you should try to stay a night in Athens and buy your tickets the day before you travel. If you are staying in Lefkada it is also advisable to buy your bus ticket to Athens in advance. Click HERE for the web site of the Greek National Bus Company (KTEL). But be aware that the telephone number is premium rate! Bus Times from and to Lefkas Town according to the summer timetable valid from 1 July until 1 September (bus times between Athens & Lefkada stay the same all year). The following timetable may change a little from time to time, so check before you travel. 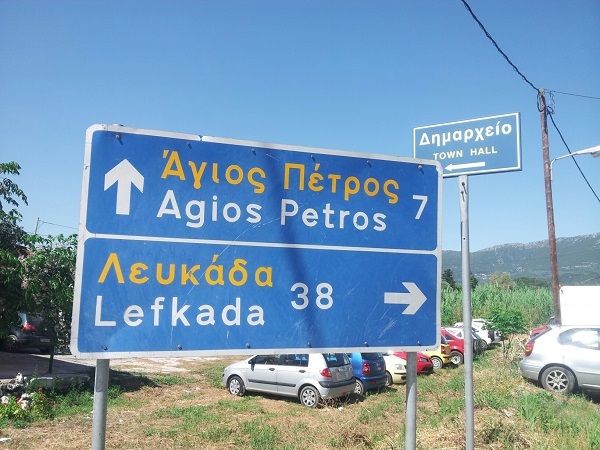 The Bus Station number in Lefkas Town is (+30) 26450 22364.